Once again, well ahead of his time, Leon Koziol targeted a family court judge back in August of 2011, seeking to have him removed from a custody case involving his 7 and 9 year old girls in Syracuse, NY. Mr. Koziol repeatedly objected over the years to any sessions known as “Lincoln” hearings conducted without the parents present in the privacy of a judge’s chambers. Eventually, Judge Hedges granted Mr. Koziol’s motion and removed himself from the case. Only 6 months later, the judge was brought up on charges of sexually abusing a 5 year old handicapped girl and the New York Judicial Conduct Commission removed him from the bench. This is the same commission where the 28 page report was submitted by Mr. Koziol that was published here at Leon Koziol.Com on April 23, 2013. Just 2 days later, the high court of New York affirmed Judge Hedge’s removal. Another named defendant was Family Court Judge Bryan Hedges who was removed from the bench by this Commission in a recent published decision. He admitted to sexual interactions with a handicapped 5 year old girl (relative) while in law school. The sordid details are better left to the decision but only months prior to his removal, this same judge presided over my ongoing custody case. My motion for his recusal was opposed by the divorce lawyer and child attorney on grounds that this judge was beyond reproach. It was fortunately granted prior to the standard “Lincoln” session in chambers (without the parents) involving my then 7 and 8 year old girls. Help Stop the Spread of FCIV! If these judges are crooked, liars, in bed with woman’s attorney, child abusers, fathers abusers, why are they not easy to take off the case and then put in jail for their crimes. I had a crooked judges that was getting pay offs from his Law Clerk attorney buddy yet to this day I have never been able to recover from all the corruption he dished out to me. Today their acts are forcing me into MEDICAID (tax payer paid – yet I have had stolen from me well over $500,000), total poverty, a totally abused by her mother child, I can not get any protection from multiple written threats to my life by the X and her accomplices and I’m losing my life due to the extortion. The state of NY REFUSES to lift a finger on anything to help me. Hedges reminds me of Judge Watkins, in West Virginia. He’s been removed, but the system remains that allowed the abusive judge. We need immediate family law reform across America. Thankyou Leon for keeping up on the removing of the law breaking Judges. I was there for Leon and his children at Foley SQ. in NY on June 15, 2012 for the Parents Rally at his Federal court hearing. U.S. Citizens do not be afraid to speak out about these corrupt Judges who violate your rights in the courts. WV Judge Watkins was suspended (Family Court) to the end of his assignment in 2016. Hopefully he will not be reinstated and will nort be able to destroy any more lives. For details email me: ctparents@gmail.com ‘US Concerned Parents’ support group & Parents MOVEment. To get an unmediated divorce in Florida, you must go before a system set up by attorneys. Once the system gets staffed with a group of Judges who are predominately Democratic, you are left with a system of attorneys and Judges who protect other Democrats. There is no way to police a system such as this. In Florida, the JQC is one of the most useless legal entities available to you. Don’t file a complaint against one of their Judges because the JQC is allowed to pick and choose if they want to look further into the circumstances of your complaint. Even if you have hard evidence of abusive decisions, rendered by a Florida bench, the JQC does not have to take your complaint under advisement. Judges in Florida will defy hard evidence if that evidence will harm themselves or else it would harm one of the protected attorneys in the area. 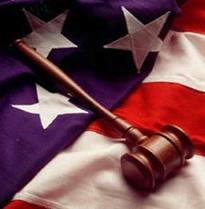 Your rights under the Rules of Procedures are only as good as you picking an attorney, who the Judges will favor. Do not complain to the JQC! Again, in my geographic area of Florida, it has become a group of Democratic Judges and attorneys. The evidence clearly shows that the Judges are protecting a Ruling which was entered into, at the disregard of the Canons and the Rules of Procedures. In fact, the original abusive Judge who’s Ruling is being protected has admitted to showing up to a Democratic Fund Raiser. It’s been recorded! Now, a favor for a favor keeps their Democratic group empowered and his Ruling intact. As you can imagine, they fought hard to get their friends elected to the bench. And once their friends were elected, evidence of fraud and deceit mean nothing to this group. Rights of the litigates, which are protected by the Rules of Procedures, are disregarded by succeeding Judges to protect their group of friends. In my case, the evidence reveals that while a Judge had deep rooted problems of his own, the Chief Judge allowed him to use his bench to pay forward for a favor. Other Judges have been involved in this case as well. Judges are allowed to defy the evidence, when they choose to do so. I have no respect for Judges once you realize you are fighting a system who is in it for themselves. It’s not right and it’s not fair. The Judges were elected to protect the rights of the litigates, not themselves. How else can anyone explain why the Judges purposely defy hard evidence? So to get a fair and unbiased Ruling in a divorce case, you must first start with one of their attorneys. New young attorneys who have recently passed the Florida Bar are unsuspecting pawns within this field of deceitful sharks. My case in point, there is a particular attorney in Orlando Florida, who wins his cases not because he is a good attorney but because he is allowed to lie and cheat. He is allowed to defy the Rules of Procedures because he is protected from sanctions by the Judges. In fact, his clients are also protected from sanctions. If one was to look back into his case history, there has been many attorneys who have walked away from the Court Room scratching their head in amazement. They are questioning themselves, how did a Judge get it so wrong? It is easy to get married in Florida but to get a fair separation, one must hire a protected attorney. Your efforts to fight injustice are admirable. As a devastated litigate, devastated by an abusive Judge, I have been unable to pay a life sentence of $5,600 a month in alimony. My inability to comply with an abusive Judge’s Ruling will land me in jail one day. This is a thought that doesn’t set well with me. As abusive as his original award was, going to jail over this fraud is not something I wish to do. Think about what the waste so far. Taxpayers have paid hundreds of thousands of dollars for a protracted case built on fraud. And still to come, additional resources will be spent to incarcerate me.